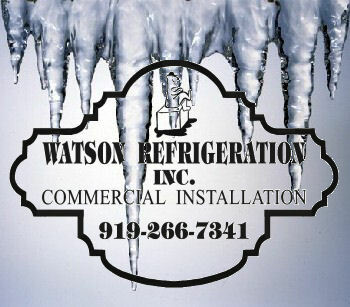 Keep your food fresh and your customers comfortable with commercial Refrigeration services from Watson Refrigeration Inc. in Raleigh, North Carolina. From new refrigeration equipment installation to offsite monitoring, we offer a host of expert services from the mountains to the coast. Established in 1988, our privately owned company can meet all your cooling needs with more than 100 yeas of combined expertise in the industry, working with major retailers such as Harris Teeter™, Food Lion®, Wal-mart®, Piggly Wiggly®,Publix®, IGA® and more. We also provide quality refrigeration solutions for small, independent grocery stores. Rely on us to maintain your refrigeration systems with our comprehensive preventive maintenance programs, as well as an entire team of certified installation experts and service technicians. Keep things cool by contacting us in Raleigh, North Carolina, today.